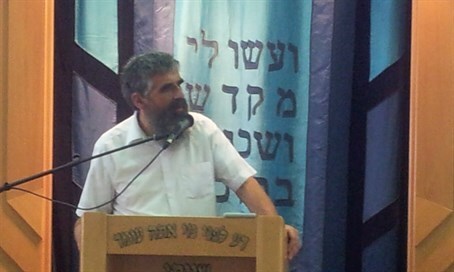 Rabbi Yuval Cherlow, an influential rabbi in the Religious Zionist community, believes Israel should admit some Syrian refugees. Rabbi Yuval Cherlow, one of the leading rabbis of the Religious Zionist community and a founder of the influential Tzohar organization, believes that Israel must “carefully weigh” the option of admitting Syrian refugees into Israel. Over the past several weeks, tens of thousands of refugees from Syria, as well as from other Middle Eastern and African countries, have arrived in Europe seeking refuge in countries there that have promised to take them in, especially Germany. Many of the refugees have been languishing in camps in Syria, Turkey, and Jordan for as long as two years, but in recent weeks large numbers have sought to get to Europe, usually in small boats and rafts. The issue was thrust into the media spotlight several weeks ago when a heartbreaking image of a little Syrian boy lying dead on a Turkish beach prompted worldwide horror, with European countries – as well as the United States – pledging to take refugees in. The mass movement of the refugees prompted several Israeli politicians to call on the government to admit at least some of them into the country. Prime Minister Binyamin Netanyahu had earlier commented that Israel, while not "indifferent" to the tragedy of the refugees, was “a small country, a very small country, that lacks demographic and geographic depth; therefore, we must control our borders, against both illegal migrants and terrorism." In this way he argued Israel could not afford to admit refugees. Both those issues – the Jewish affinity to helping those in need, versus the security issue – create a significant dilemma for Israelis who want to help but are afraid to, said Cherlow. “There are a number of opposing issues, such as what opening the gates to refugees will mean for the African refugees who come here seeking work and whom we are seeking to send back home, as well as the question of humanitarian efforts to save people versus the issue of security, and the possibility that terrorists will sneak into the country." Even if Israel is only able to take in a small number of people, “the symbolic value of such an act should not be discounted. We would need to ensure that we can distinguish between a refugee and an enemy, but I see this as an obligation. Even if we cannot solve all of the world's problems, we are prepared to do what we can to make it a better place, and show that man is created in the image of G-d, and that the world is not dog-eat-dog,” he added.